Scott Kelly spent 340 days aboard the International Space Station, while his twin, Mark, remained on Earth. 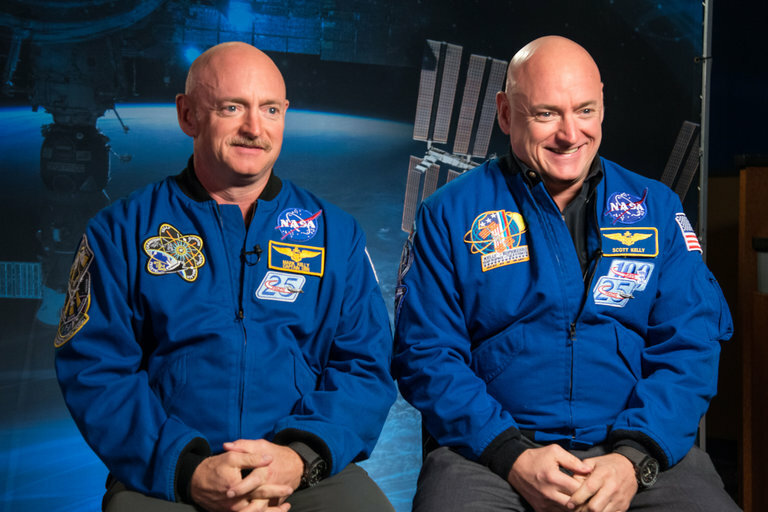 The twins became NASA’s perfect nature versus nurture study. The Twins Study went a step further, including surveying the brothers' genomes and collecting data on Scott and Mark's physical and psychological health. In the case of Scott, some of the changes to his body disappeared only a few hours or days after landing, while some remained after six months. About 7 percent of Scott's genes may have longer-term changes in expression after spaceflight, in areas such as DNA repair, the immune system, how bones are formed, hypoxia (an oxygen deficiency in the tissues), and hypercapnia (excessive carbon dioxide in the bloodstream). The other 93 percent of his genes quickly returned to normal. The researchers also saw that spaceflight is linked with nutrient shifts, oxygen deprivation stress and more inflammation. They gathered the evidence after looking at "large numbers" of proteins (chains of amino acids), cytokines (substances secreted by cells in the immune system) and metabolites (substances related to metabolism) in Scott's body.